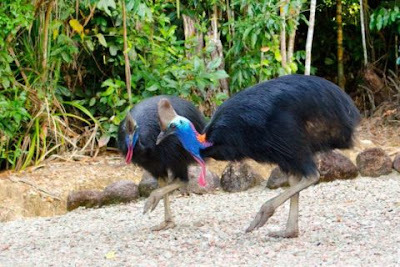 Cassowary, one of the most dangerous birds in the world has been detained by police in Florida for killing owner, Marvin Hajos. Marvin Hajos, 75-year-old lived in Florida where he raised the bird. The bird, now in police custody, has three species and is native to the tropics of Queensland, Australia and New Guinea. They belong to the same family as Ostriches, Emus and Rheas. Memo Naija respects every copyright policies. If you feel the article you are reading or the music or video on this blog infringe on your privacy, kindly shoot us an email at [email protected] with the proof that it is yours and we shall take it down immediately. Memo Naija is a blog about Naija News, Naija Songs, Education, Motivation, Biography and More! Stay Educated, Entertained and Informed.